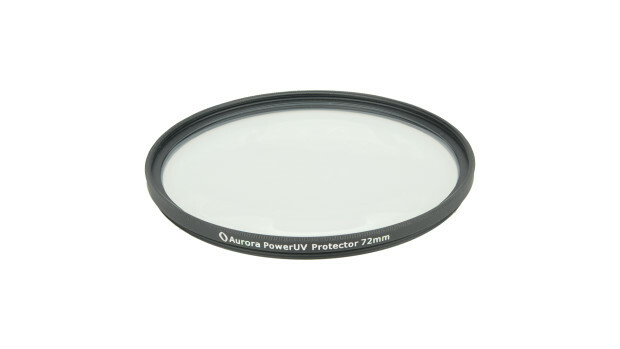 PowerUV™ – Gorilla® Glass Based UV Filters – Aurora Aperture Inc.
Ultra Violet (UV) filters have been around for a long time from the old film days. Their original purpose is to block UV light that would cause hazing in old film photos. Even modern films before digital photography are immune from UV light, digital cameras are not sensitive with UV light either. In the meantime, users believe having a relatively inexpensive filter in front of their expensive lens could provide some levels of protection, thus UV filters today are still widely used as a protection filter and they are the first accessory to buy with a purchase of a new lens. However, most UV filters and protection filters in the market are made from a piece of thin glass. 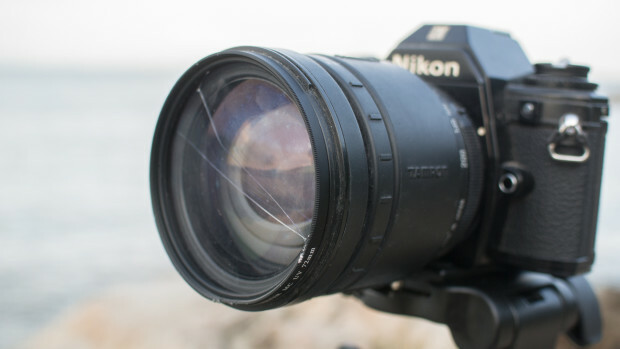 They offer little physical protection since the filter glass is easy to be broken, as discovered by users who have dropped their filters by accident. 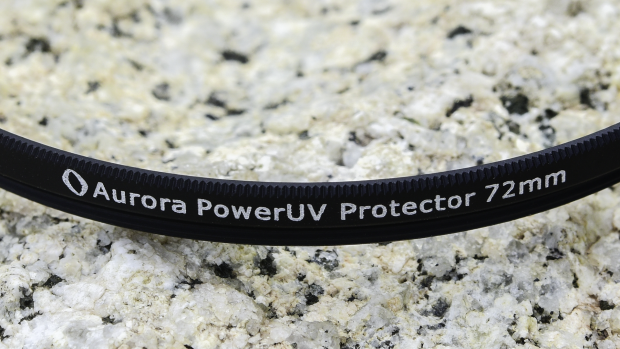 The PowerUV™ protection filters from Aurora Aperture are real UV filters that can truly protect. They are made from chemically hardening glass that offers much stronger protection than normal glass. We choose the Corning® Gorilla® Glass 3 for the PowerUV™ protection filter, as it is the most widely used cover glass today in smartphones and tablets. 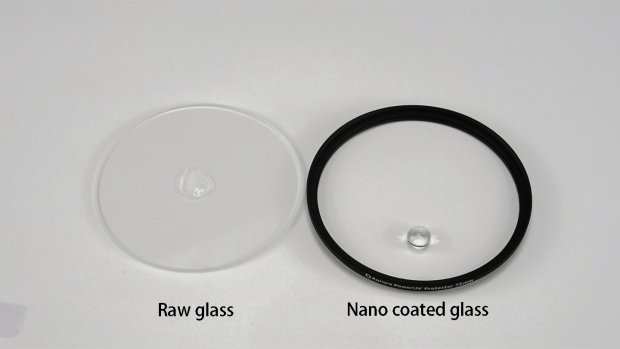 Chemically harden glass is a proven and matured technology, adopting it to camera lens filter is only a matter of time. To demonstrate the impact resistant capability of the Gorilla® Glass 3 based PowerUV™ filters, we conduct a drop-ball test. 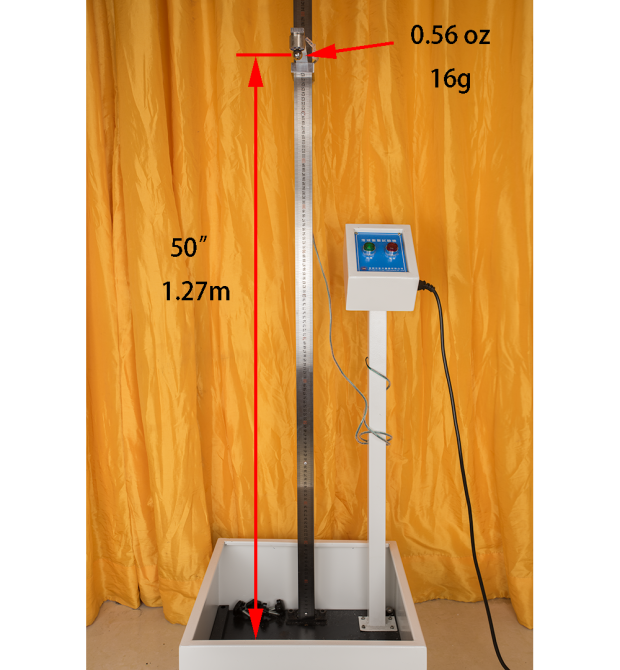 The drop-ball test is based on the ANSI Z87.1-2003 standard which is used in the FDA 21 CFR 801.410 regulation. The original purpose of this test is for eyeglass certification and has been used for over forty years. All eyeglasses and sunglasses sold in the US must pass this drop ball test. In this impact test, a 5/8-inch steel ball weighing approximately 0.56 ounce (about 16 grams) is dropped from a height of 50 inches (about 1.27 meters) upon the surface of the test target, and the test target must not be fractured. First, we gather a few traditional UV filters and put them through the drop-ball test. 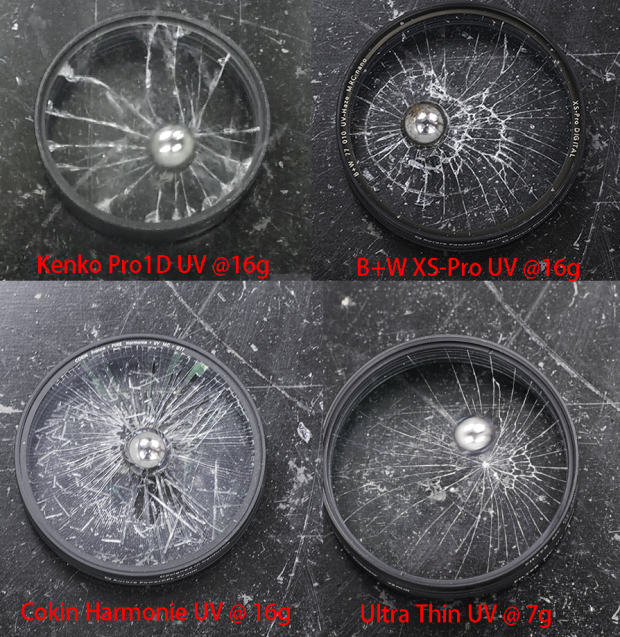 As seen from above, all these UV filters failed the drop ball test, including a few premium brand filters such as Kenko Pro1D UV and B+W XS-Pro UV. 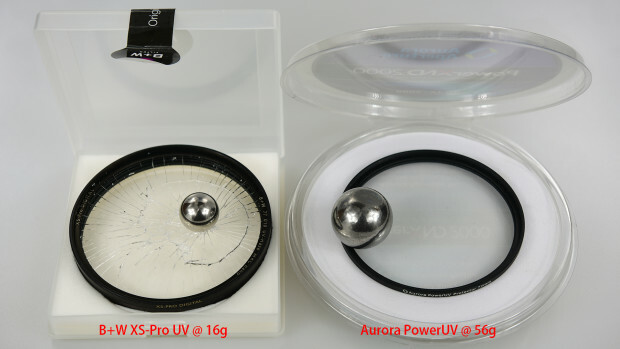 Some UV filters did not even pass the test with a smaller steel ball of 7g, or less than half of the standard weight at 16g. There is no surprise for this since these filters are not built as real protection filters from the first place. We just want to use the test to break the illusion of traditional UV filters can provide protection to camera lenses. 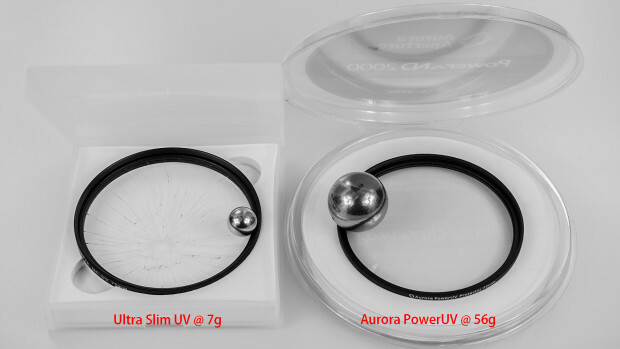 Now we put our PowerUV™ filter through the same drop-ball test. Not only it passed the standard test with flying color, but we also tried to break it by increasing the weight of the steel ball to 2 ounces (56 grams), our Gorilla® Glass 3 based filters still pass the test. That is up to 3.5 times of standard test weight and 8 times of certain ultra thin UV filter failed limit. As a comparison, we also tested a Sigma Ceramic Protector filter which is made from clear glass ceramic and is supposed to be stronger than normal glass. Although the Sigma protection filter did pass the standard test at 16 grams, it failed at the weight of 56 gram. Next is a scratch test. We put the PowerUV™ filter with a bunch of hard objects such as small rocks, keys, and pocket knife into a container on a vibration platform. We let it run through 30 minutes of vibration time and the filter will be examined for surface scratch. Again, the PowerUV™ filters survive the scratch simulation test with flying colors. Traditional UV Filter manufactures to market their premium filters by emphasizing the use of high-quality optic glasses such as Schott B270®. Does the chemically harder glass materials such as Gorilla® Glass compromise optical performance when comparing B270®? For UV filters, the most important optical performance metric is the transmittance rate for the visible spectrum (390nm to 700nm). 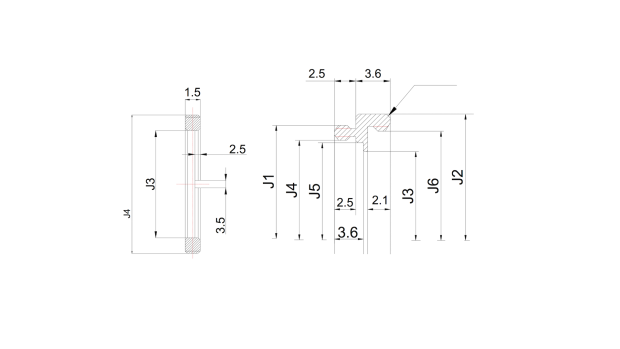 Untreated optic glass such as Schott B270® is rated at 91.7%. After anti-reflection coating is applied the transmittance rate can be increased to 98% – 99%. 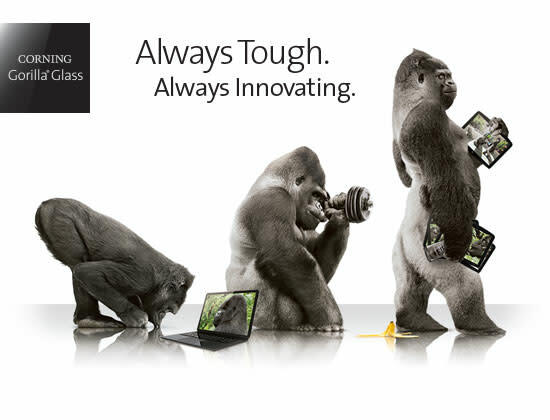 Raw Gorilla® Glass 3 is rated at 92.3%. After applying multi-layers of nanocoatings our Gorilla® Glass 3 based PowerUV™ filters can achieve 99.6%, just as good as those traditional premium optic glass based UV filters. We also conducted thorough testings in resolution and color reproduction and we find the Gorilla® Glass 3 based PowerUV™ filters are just as good as high-quality UV filters built with Schott B270® glass. Another optical aspect of UV filters is its anti-ghost capability. Ghosting is caused by light reflections between a UV filter and a lens. We conducted ghost tests with the PowerUV filters and found no particular issue with the Gorilla® Glass 3 material. The multilayer nanocoatings not only help to increase the transmittance rate, but also repels water, oil, and dust. Contaminants can be wiped off from the filters easily. 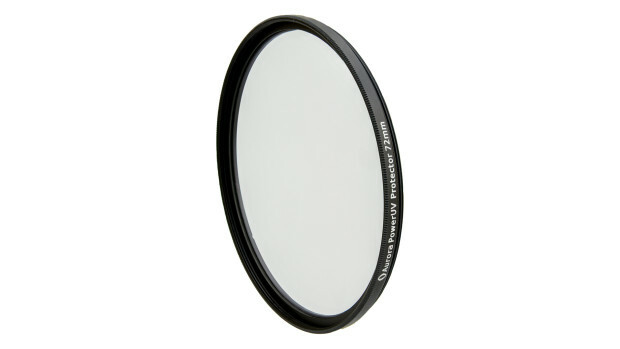 UV filters frame design is very simple as there is just a metal frame housing a single piece of glass and yet we have seen many UV filters with thick frames that serve no practical purpose but causing vignetting in wide angle lenses. 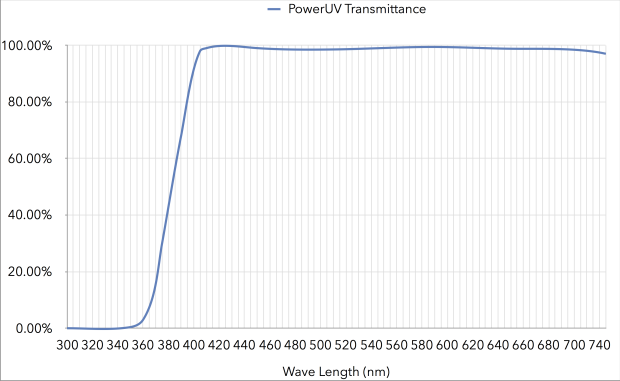 Our PowerUV™ filter frame design is simple and effective, even with our relative thick Gorilla® Glass to provide extra protection, the overall thickness of our PowerUV™ filter is only 3.6mm, thinner than many UV filters in the market. The PowerUV™ filters are built from aerospace grade aluminum with CNC machinery for utmost precision and accuracy. They are anodized for durability. With up to 8 times stronger than normal UV filters, the Aurora PowerUV is the toughest UV filter in the world*. Your camera lens deserves the same level of protection as your eyes. Available filter thread size: 37mm, 39mm, 40.5mm, 43mm, 46mm, 48mm, 49mm, 52mm, 55mm, 58mm, 60mm, 62mm, 67mm, 72mm, 77mm, 82mm, 86mm, 95mm, and 105mm.